The Chuckit! 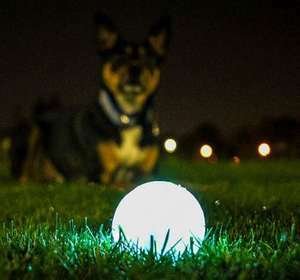 Max Glow Ball will keep your dog fetching from dawn till dusk! The Chuckit! 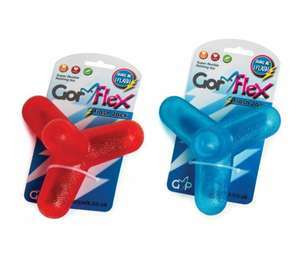 Max Glow Ball is ideal for dark or light play, and allows you to extend play time into early mornings, late evenings or night time walks. 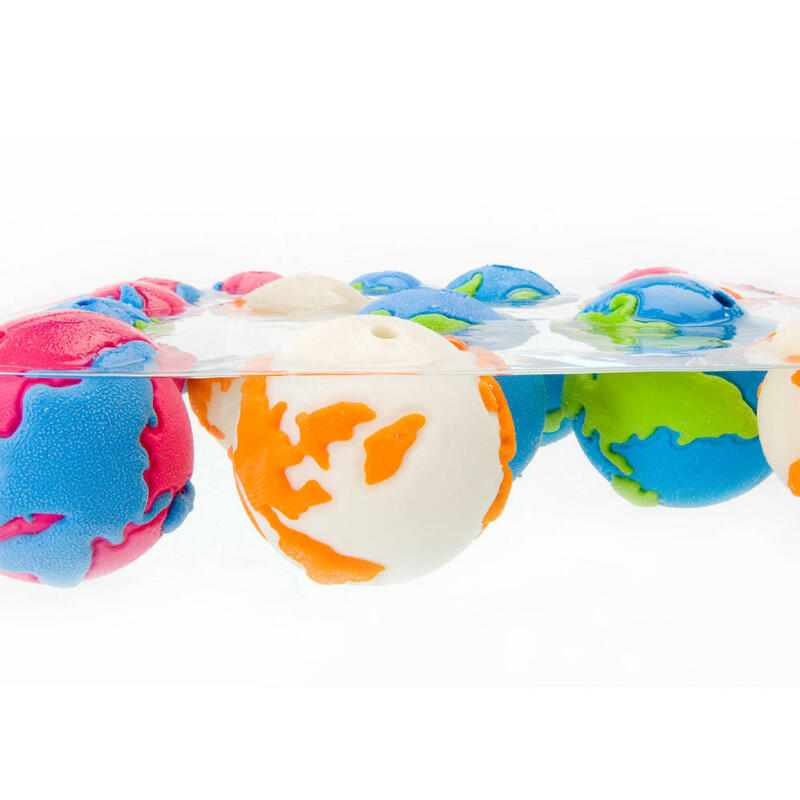 This durable rubber ball glows in the dark to allow the game to keep going when the sun goes down. The cleverly designed Chuckit! 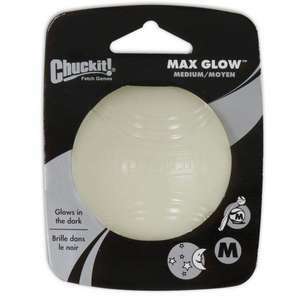 Max Glow Ball glows without the need for batteries. Simply charge by placing the ball under a bright light source for at least 5 minutes to provide a bright long lasting glow for extended play. The easy clean Chuckit! Max Glow Ball is made using durable, natural rubber and is perfect for using on it's own or with a compatible Chuckit! Launcher.